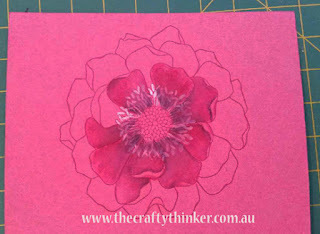 This is a thank you card for a special lady. My beautiful, gentle and charming friend, Norma, has accumulated 92 years of wisdom but has not been feeling very well recently and that is making her a bit sad. I'm hoping this card will help to lift her spirits a little. I think I should also dedicate this card to the wonderful Stampin' Up! 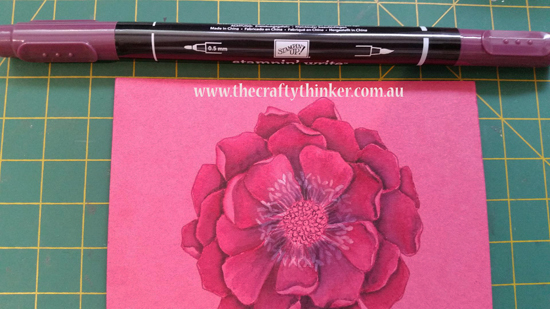 artist who created this beautiful stamp! Norma and I met several years ago in hospital - we shared a room - and I am so very grateful that we did! As the pain killers started to wear off and I was waiting for the next dose to work, Norma would tell me a story. They were always interesting, inpsirational and involved personal or family experiences. And they always lasted just long enough to distract me until the pain relief took hold. It took me a while to realise what she had been doing for me despite her own challenges. That's an example of the wonderful person she is and why I am so grateful to call her my friend. 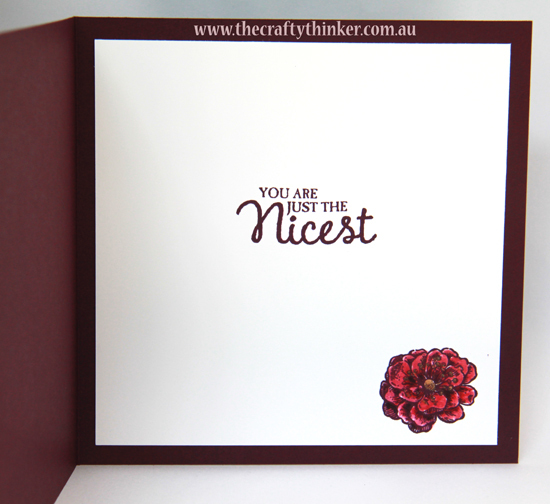 I'm including this card in the Crazy Crafters Team Highlight this week - which is a bit of a special one! 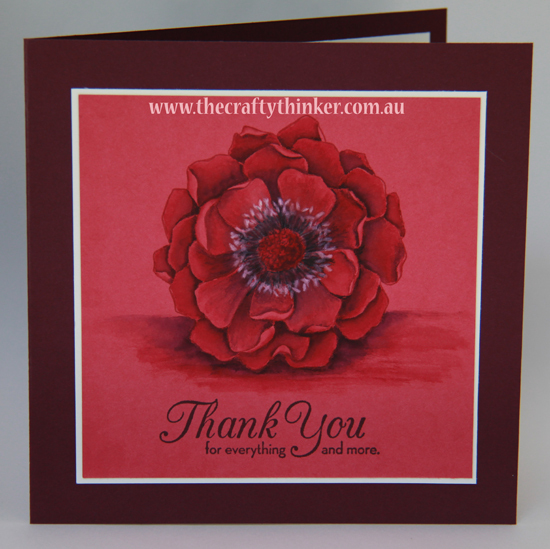 We are being joined by AMAZING card-makers from around the globe - so do click on this link to go and have a look at all the wonderful projects with a theme of "Thank You". You can also vote for your favourite projects ... including mine, if you like it! I stamped in Rose Red onto Rose Red card. 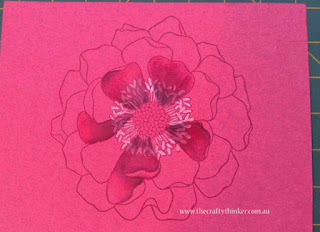 Then I added some white onto the stamens so that I'd be able to find them later! 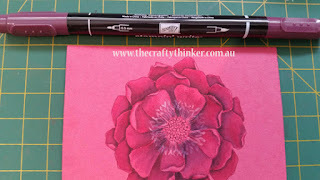 To each petal, I applied a wash of Rose Red ink and then dropped in some Blackberry Bliss to start getting some dark tones. In places I also blended in a little extra Rose Red. 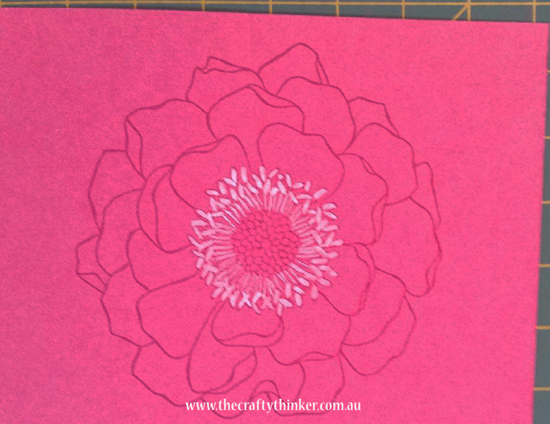 I was careful to ensure that the ink was dry before working on adjacent areas. I just kept building up the tones in the flower in this way. At the very end, I added a little more dark in places with the fine end of a Blackberry Bliss Stampin' Write Marker. 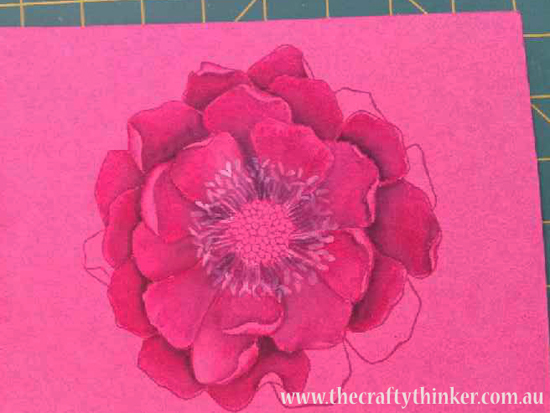 I also added a tiny touch more white to the stamens. 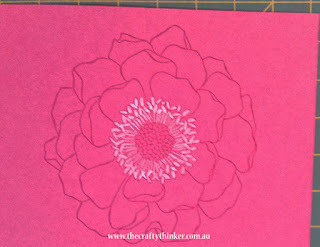 The very last step was to add the shadow under the flower (so that it wasn't floating in mid air!) and stamp the greeting. If you would like to make a purchase - just click on one of the product images below.